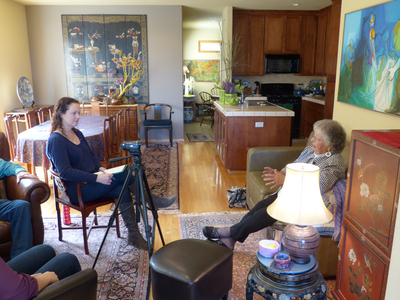 Donna Jean McDaniel is photographed during an oral history interview at the McDaniel family home. McDaniel and her husband Jim were interviewed by Linfield College archivist Rachael Cristine Woody. 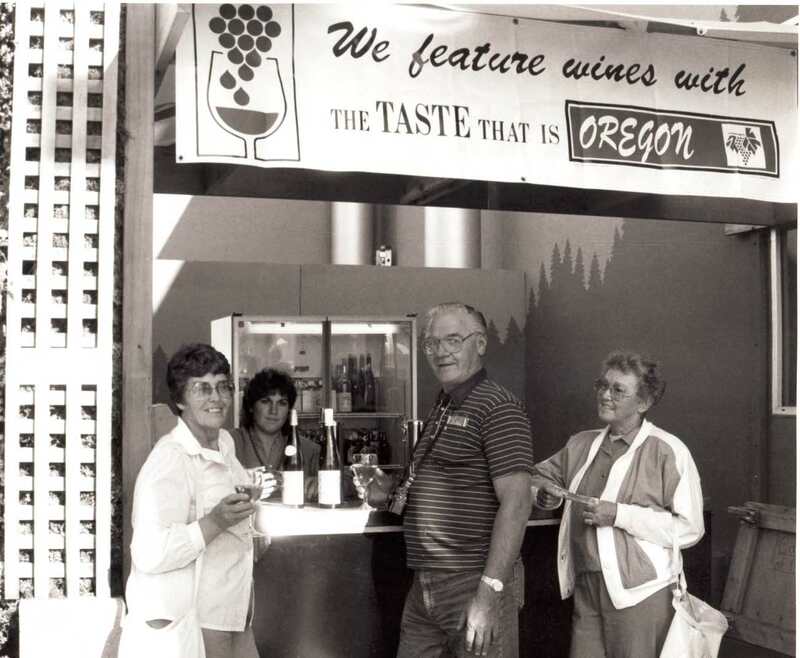 Donna Jean and Jim McDaniel were the owners of McDaniel Vineyard in Dundee, Oregon, which produced grapes that were sold to multiple area wineries. McDaniel Vineyard later was renamed Olson Vineyard Estate when the McDaniels sold the vineyard and their home to Dr. Daniel Olson. Linfield College Archives, "Jim and Donna Jean McDaniel Interview 07" (2015). Browse All Willamette Valley Oral History Interview Photos. Image. Submission 56.